There’s no denying that travel can be an expensive venture. Even study abroad programs, where a lot of the expenses are covered by your school, still can create a bit of a drain on your savings. In the spirit of helping your bank account a little, I’m sharing some tips on how to save a little bit of money while traveling while still maximizing your experience. If you haven’t made your travel plans yet, it’s definitely worth it to consider going somewhere with a favorable exchange rate. I’m in South Africa now, and you can get some serious bang for your buck here. That’s a huge difference from when I studied abroad in the UK, and everything was more expensive than it was in the US. When you’re traveling, there’s a huge temptation to go out to eat for every meal. And of course, this isn’t exactly economical. If you have access to a kitchen, take advantage of it and eat one or two meals per day at your lodging instead of going to a restaurant. Or if you don’t have a kitchen to make a full meal, invest in a loaf of bread and some peanut butter and jelly. You can still go out to eat and experience the culture once a day or so, but it’ll majorly save you money if you can eat some of your meals at home instead. Know what you’re looking for. For me, I like to collect keychains at every place I go, so that’s my “thing.” It’s a pretty cheap obsession. When it comes to any other souvenirs, I really consider whether or not it’s something I’d still buy if it wasn’t a souvenir – AKA, will I actually use this? That thought process can help you make smart souvenir purchases and you’ll come home with only things that you’ll really value. For little weekend excursions, higher numbers can help you. Staying in an Airbnb is way cheaper when you’re splitting it among a group of friends, and some places have bulk discounts on “adventure” things, like bungee jumping. If you want to do a weekend trip somewhere, bring a couple of friends with you. 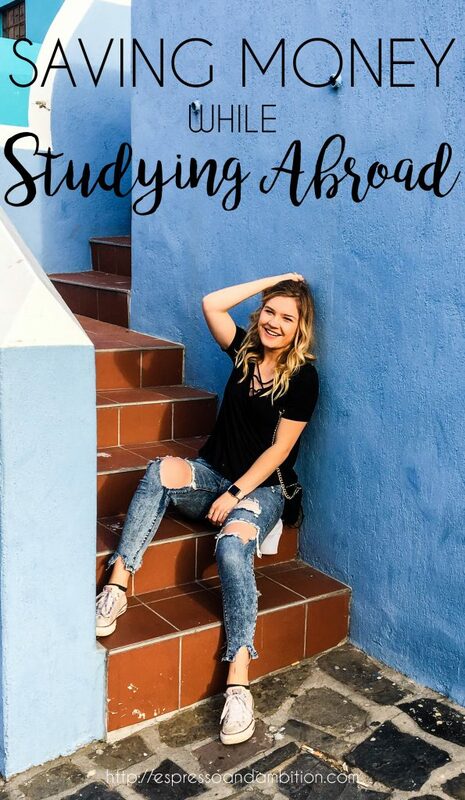 Hopefully, these tips can help you get a little more bang for your buck while you’re abroad!